Adrienne Saur won election to the Port Washington Public Library’s Board of Trustees on Tuesday in a three-way race. The founder of Kids Need Enrichment, an organization focused on bringing science and technology opportunities to Port Washington, received 397 votes. She vied for the seat against Beth Horn and Matthew Straus, who received 227 and 189 votes respectively. Saur will take the place of Trustee Robert Lee Aitken, who stepped down, for a five-year term. In a separate vote, the $7.3 million budget was approved with 770 votes in favor and 63 opposed. Saur said she is incredibly touched by the outpouring of support she has received from the community. 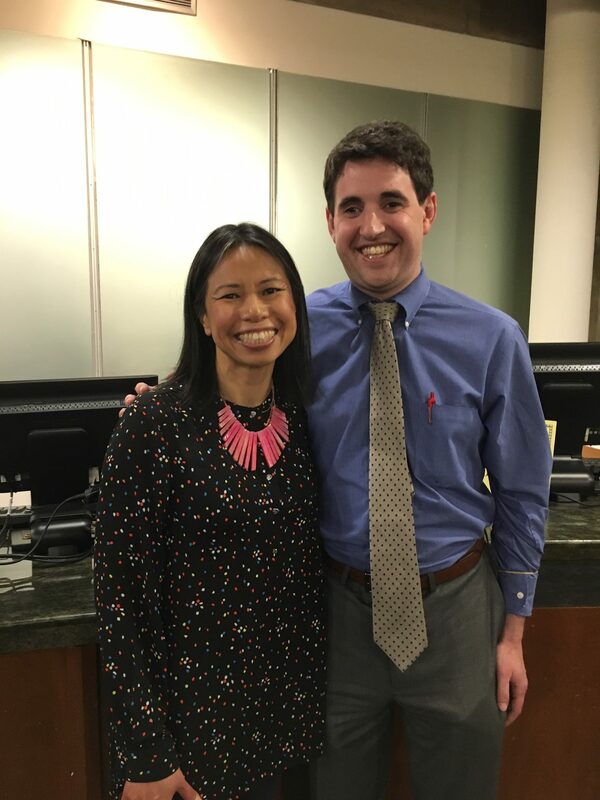 “I look forward to working with the other trustees to continue the library’s leadership in providing the Port Washington community with the resources and opportunities to thrive,” she said on Wednesday. In her opening statement at the Meet the Candidates night hosted by the League of Women Voters of Port Washington and Manhasset last month, Saur said her primary focus would be bringing ideas to the table, helping the library connect with other institutions and providing whatever support the library staff would need to continue the library’s mission. She said she wants to find more ways to help the entire Port Washington community better utilize the resources their library has to offer. “People don’t know enough about all of the library’s terrific offerings,” Saur said. One of her suggested ideas she titled “Discover something new at PWPL,” which she said would partly be a marketing campaign and partly a program to engage adults in the enriching aspects of the library. She said she also wants to facilitate bringing more experts from different fields into the library at little to no cost. As a community member, she said she has been able to persuade experts to come to events in the past and believes she could do even more as a library trustee. Saur said in the future she envisions the library expanding its digital footprint while maintaining its physical collection. With her background in training students of all ages in the adoption of new technologies, her experience lends itself to her vision. Saur previously served as the president of AGATE of Port Washington and was the corresponding secretary for Daly Elementary’s Home-School Association. She has also worked with the library and Port Washington schools to run 13 STEM/STEAM events in the community which she said engaged hundreds of families in activities that promote learning. As a trustee, she looks forward to working with the library’s outstanding staff, the Friends of the Library and the various advisory councils “to offer additional enriching, lifelong learning opportunities to our community,” she said. Saur received a bachelor’s degree from Princeton University and a master’s degree in instructional technology and media from Columbia University Teachers College.